What Legal Options Do You Have if You Find Your Spouse Cheating? If you have discovered that your spouse has been unfaithful in your marriage, you may be thinking about a divorce and wondering how infidelity relates to a divorce. Will evidence of a cheating spouse help you legally? The following are a few things to understand about your options. Infidelity is not an issue in all states. 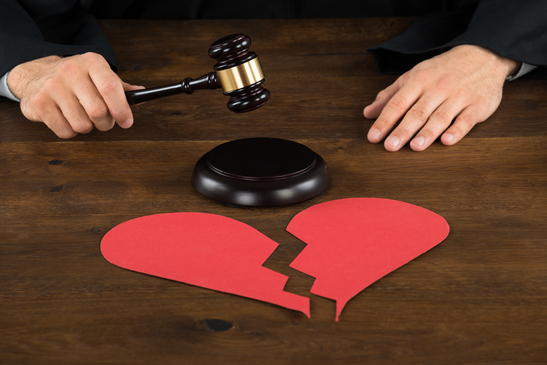 Although every state allows for a no-fault divorce, there are 17 states that are truly no-fault. This simply means that there is no need to have grounds for ending a marriage. If your spouse has cheated on you, it will have no bearing on whether a judge grants a divorce. However, it is still possible for a judge to consider infidelity when assessing the amount of alimony, but in order for this to occur, you will need evidence. Our private investigation firm routinely works with attorneys and understands what evidence is needed to help you get more money in your divorce settlement. In the other 33 states, it may be possible to use infidelity to get the divorce you want, Even if your spouse does not want to end the marriage, you may be able to dissolve the marriage. Of course, the laws will vary by state, so it is essential to consult with an attorney. A private investigation firm can help you get the evidence needed for a divorce. Unless you have caught your cheating spouse in the act, you need to confirm your suspicions. Without evidence, it doesn’t matter what the laws are in the state you live in. This is why it is best to contact a private investigator. We can place your spouse under surveillance and document the infidelity. We can do this with video and photos, and with your assistance, emails, browser histories and phone logs. Our investigation will be thorough and will either confirm infidelity or lay your suspicions to rest. If your spouse is being unfaithful, you will have the evidence you need to proceed with the next step. If you plan for a divorce, consider an asset search. An asset search is another service that our private investigation firm provides, and this is something you need to consider before informing your spouse of wanting a divorce. If your husband or wife is involved in your finances or has a business, the first instinct your cheating spouse will have, when hearing your intention to divorce, is to start hiding assets. It is best to catch your spouse off guard. Let us do an asset search and locate everything that exists. Once this is documented, you can give this information to your attorney. At this point, you can inform your spouse of the desire to end the marriage. Regardless of which state you live in, it is possible that infidelity may be a factor in your divorce. Although it may not be grounds for a divorce, it is possible that it could influence the settlement. Contact our private investigation firm, so we can confirm infidelity, and we can follow up with an asset search. Above all, make sure you consult with an attorney about the specific laws in your state and how they pertain to your specific situation.